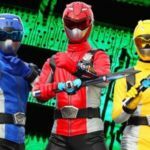 A brand new clip for Saturday’s new episode of Power Rangers Beast Morphers was recently released online. 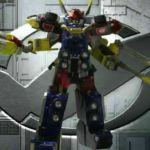 Episode 6 titled Hangar Heist will be our first look at the long-awaited Beast-X Megazord! In the episode, Nate develops new technology from a captured Gigadrone and Devon struggles with fully trusting his team. The Power Rangers train with the new Zord Simulator. Power Rangers Beast Morphers Episode 3 “End of the Road” Preview Clip Online! You can check out the preview in the box below, and be sure to check back with us once the episode airs this Saturday, March 16th 2019 and join our discussion thread. 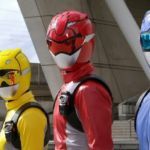 Power Rangers Beast Morphers: Episode 1: 2nd Clip Online! That’s right folks, TWO clips for tomorrow’s premiere of the first episode of Power Rangers Beast Morphers have dropped online today! We already saw our first clip thanks to Colby Strong, the actor portraying Blaze via his Twitter feed earlier today, and now our 2nd clip comes from Twitter user who claimed to have found it via the Nick App. Currently, the clip isn’t available on Youtube so well have to make do with the Twitter link. Make the jump here if you wanna check it out, and we’ll be sure to update this page once a Youtube link becomes available. In the meantime, check back with us tomorrow morning when Power Rangers Beast Morphers makes it’s debut. Make the jump and let us know what you thought of the episode or the clips we’ve seen thus far in the discussion thread! Colby Strong, the actor portraying the villainous character of Blaze for Power Rangers Beast Morphers, has just shared a sneak peek of episode one vis his twitter. And thankfully, the Power Rangers Official YouTube has followed suit and made the video available as well. 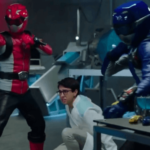 See a preview Beast Morphers Episode 1 “Beasts Unleashed” below! Beast Morphers actually premieres tomorrow morning, Saturday March 2nd at 8AM EST on Nickelodeon. It’s already apparent with this first look at episode one, that a quality shift has occurred in the way the show is made. One for the better. If you weren’t excited before, you definitely should be now. Power Rangers Beast Morphers Wave 1- Official Images & Character Bios Released! Toy listings for the first wave of Power Rangers Beast Morphers are officially coming online! Thanks to the good people at Forbidden Planet we now have an extensive look at the basic 6-inch action figures for this new season of Power Rangers. The first wave consists of the first three Beast Morpher Rangers- Beast Morpher Red, Beast Morpher Yellow & Beast Morpher Blue alongside the CyberVillain Blaze and his Tronic foot soldier. IT’S MORPHIN TIME! From the all-new Beast Morphers back to the original Mighty Morphin Power Rangers, the Power Rangers have brought teamwork, action, and adventure to fans of all ages. The legacy continues with figures, vehicles, collectibles, and roleplay toys from Hasbro, celebrating ranger teams from Mighty Morphin to the all-new Beast Morphers. Imagine all the action of Power Rangers with toys from Hasbro! RED RANGER CHEETAH POWER – The leader of the Beast Morphers, the rebellious Red Ranger rushes into the fight to stop Evox and his army of Tronics. BLUE RANGER GORILLA POWER – The steady and loyal member of the Beast Morphers, the Blue Ranger stands strong as the Rangers fight to stop Evox and his army of Tronics. TRONIC VIRUS POWER – Foot soldiers of Evox, the Tronics are an army of electronic warriors commanded by Cybervillain Blaze to fight the Power Rangers Beast Morphers. 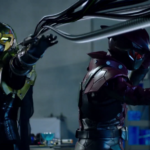 CYBERVILLAIN BLAZE VIRUS POWER – The evil general of Evox, Cybervillain Blaze is a powerful enemy of the Power Rangers Beast Morphers. 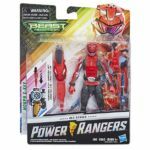 Forbidden Planet lists a release date of April 25 2019 for the first wave of Power Rangers Beast Morphers! Stay tuned to TokuNation as we keep you up to date on this remarkable new Power Rangers era! Power Rangers Beast Morphers Opening Intro Now Online! 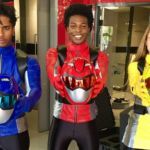 Power Rangers Beast Morphers premieres this weekend, March 2nd!! Power Rangers Beast Morphers: 2nd Trailer Online! Ever since the first Power Rangers Beast Morphers trailer aired, fans have been clamoring for more and a new trailer finally made it’s debut on T.V today. The following video was found on Instagram by user Kevstar92. While the recording isn’t the best quality, we can see lots of original new footage including our first look at the team’s morphing sequence. Power Rangers Beast Morphers will be airing on March 2nd, 2019 on Nickelodeon in the meantime, you can check out the trailer by making the jump here. On display at Toy Fair 2019 at the Hasbro presentation of Power Rangers Beast Morphers was the upcoming Beast-X Morpher. Included is a demonstration from our friends at Ranger Command Power Hour who are in attendance. This post will be updated as more information comes along. A trailer was shown to investors and while we don’t have that investor trailer yet, we do have a few new juicy tidbits for the upcoming show. The first episode of Power Rangers: Beast Morphers will air March 2nd, 2019. The title of the episode will be “Beasts Unleashed” we’ve also been a time slot: 7 AM MST, 8 AM CST and 9: AM EST. Toy Fair is still ongoing, so be sure to check back with us for more exciting updates!